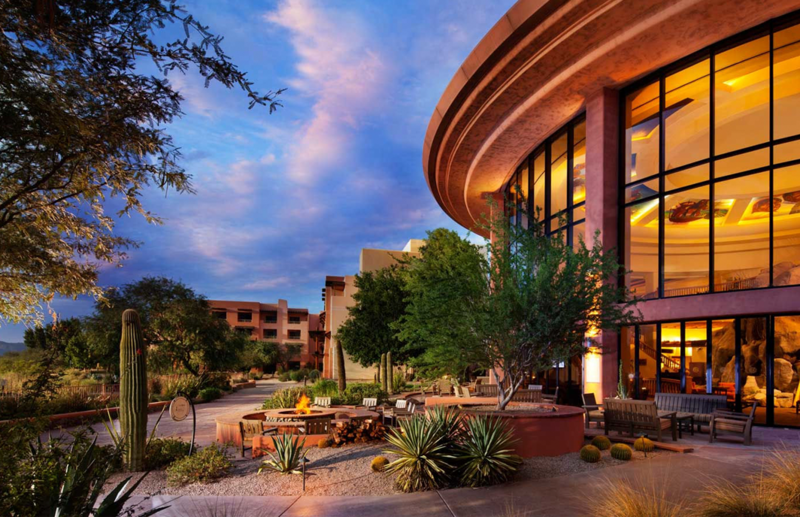 The Sheraton Wild Horse Pass Resort and Spa is a 500-room, 4-star resort and conference center located just south of Phoenix and adjacent to Chandler, Arizona. The property is approximately 37 acres, which includes 100,000 square feet of indoor and outdoor state-of-the-art conference facilities. The resort boasts extensive pools and water features, complemented by a 36-hole golf course, designed by Gary Panks. TynanGroup also managed the design and construction of the 16,000 square-foot Club House and the 22,000 square-foot Aji Spa. Boats can take guests from the resort lobby up the man-made river to the Golf Club House, as well as the existing casino, owned by the Gila River Indian Community.